← Pics of the Week! Throwing it back to my mini shopping spree at Forever 21 when they were having a flash sale. 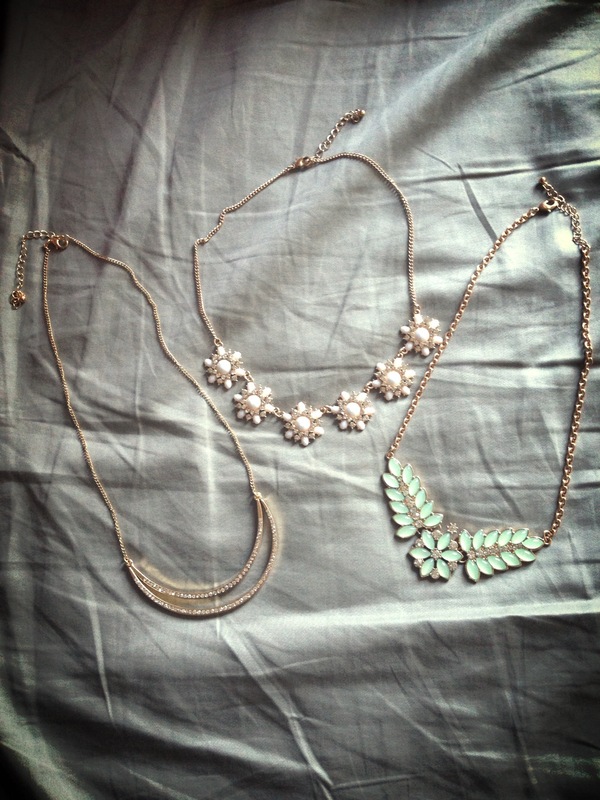 I got all of these three necklaces 30% off so all three cost me a grand total of $16.00! Now I think that’s such a steal! I took advantage of this sale and got some smaller, a little more simple necklaces than the statement ones that I have been collecting. Remember to keep a variety in your collection of accessories so you don’t find yourself with a bunch of the same style when wanting to change it up. Keep a look out for flash sales like this one on websites or sign up for emails from your favorite stores so that you don’t miss out!